A $50 gift card purchase starting today at Sprint can reserve for you the HTC EVO 3D or the HTC EVO View 4G tablet. 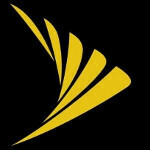 One problem is that neither product has been officially priced by Sprint. The Wi-Fi only variant of the HTC Flyer, which is similar to the HTC EVO View 4G (minus the 4G, of course) has just been launched at a price of $499.99 at Best Buy. The HTC EVO 3D has some pretty hot specs including a 1.2 dual-core Snapdragon MSM8660 under the hood and Android 2.3 on board. Around the back is a 5MP dual-lens camera to snap those pictures that come out in 3D without glasses on the 4.3 inch qHD display. A 1.3MP front-facing camera lets you smile for a picture yourself, or can be used to video chat. A microSD slot will accept up to a 32GB card. As far as the HTC EVO View 4G is concerned, the tablet offers a 7 inch display with a 5MP camera on back and a 1.3MP camera in front. Android 2.3.3 is powering the tablet which has a 1.5GHz Qualcomm single-core Snapdragon processor inside. The HTC EVO View 4G connects you to Sprint's WiMax 4G network. An optional stylus is available that will allow you to use HTC's Scribe Technology which you can use to write all over the tablet's screen. Take notes, highlight text, doodle funny pictures, any picture or words that you put up on the screen can be written on. As we reported, the stylus is being offered for the HTC Flyer at a price of $80, so we would assume that Sprint will charge somewhere in that range for the pen. If you don't mind making a $50 bet that the bottom line for either device will come in as you expect, then you can plunk down $50 toward the handset, the tablet or both. And in the worse case scenario and Sprint ends up pricing both products above your budget, well, you at least will have a gift card or two that you can use another time. And if things go as planned, you will soon have one of the hottest Android phones in your hand and/or a fine Android tablet that with a few extra dollars, will allow you to take notes or just scribble all over the screen. you could have done it at target mobile 5 days ago! One additional 'limitation' is that the gift card can only e used toward the purchase of Sprint product (as opposed to monthly service fees). If you aren't absolutely certain you want the EVO 3D or View, you could be holding a gift card that is basically useless. Bring on the power house !!!. Time to put some $$$ aside ! Can i upgrade my htc evo for the evo 3d? TATOANDROID79 "Can i upgrade my htc evo for the evo 3d?" If you are available for a partial upgrade, then you will get $75.00 off THE FULL RETAIL PRICE, of the phone. If you have a full upgrade available, then you can purchase the phone for the discounted price listed in the store with and additional $150.00 off the phone. If you have no upgrade available then you should consider purchasing the phone outright for the full retail, or adding a line to your current service. Give the gift of an old cell that you currently own to a loved one or a niece or nephew. Either way step into a Sprint store near you to figure out if you are available for the upgrade. Good luck! Or you could take the $100+ trade in that you get if you trade in the Evo 4G for the Evo 3D. Why not remove your current evo phone from your sprint account (clean the ESN) and sell then it on Ebay for around 300 dollars. That's a no brainer... Also, sometimes your contract is already up meaning you can cancel anytime, even though your actual phone might not be due for an upgrade. In this case, you can convince sprint to give you the upgrade because otherwise you just cancel your account and sign a new contract which would give you the upgrade anyways. win win.